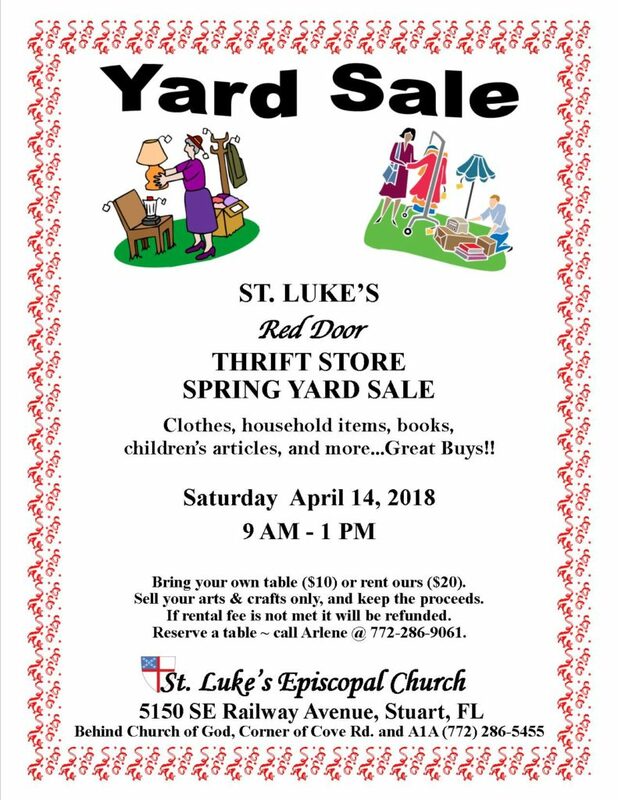 St. Luke’s Red Door Thrift Store Spring Yard Sale will be Saturday, April 14 from 9 a.m. to 1 p.m., at the church, 5150 S.E. Railway Avenue, Cove Road and State Road A1A, Port Salerno. Clothes, household items, books, children’s articles and more from the thrift shop will be on sale. Bring your own table ($10) or rent one from church for $20. Only sales of arts and crafts will be permitted. To reserve a table, call Arlene Brammer at 772-286-9061.